But, as for when title insurance is REQUIRED, and when it’s not; it depends on the details of the transaction. In a “typical real estate transaction” (one where a buyer is borrowing money to buy a house) there are actually two title insurance policies: the lender’s title policy, and the owner’s title policy. The lender’s title insurance protects the bank against potential losses due to title issues. If, for example, a previous creditor shows up with a valid lien against the house, and there is not enough equity to pay both the lien holder and the bank, the lender’s title insurance policy would make the bank whole. However, the lender’s policy only insures the amount that is currently owed to the bank. This means that only the bank is protected, any equity that you have in the house would still be at risk of being completely lost. 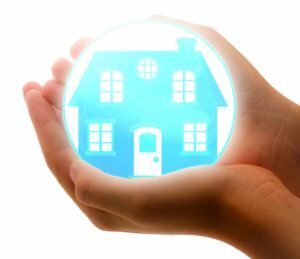 An owner’s title insurance policy protects you, the buyer, from all unknown title defects that may arise in the future. Usually a title company will insure the full purchase price amount of the home. This one-time premium buys a policy that protects you as long as you own the home, and even protects your heirs if they inherit the home from you. So, Is Title Insurance Required or Not? The lender’s title insurance is required by the lender. So, if you are borrowing money to buy a house, someone will need to buy a lender’s title insurance policy. Typically in Orange County, and most of Southern California, the buyer is responsible for purchasing the lender’s title insurance. Owner’s title insurance on the other hand is optional. However, I would never advise a buyer to buy a home without it. Typically, in Orange County, the seller pays for the owner’s title policy in order to insure delivery of clean title. But, if you find yourself in a situation where the seller refuses to pay for it, and you refuse to walk away from that house, then I would advise buying the insurance. It’s a relatively small price to pay to avoid some relatively huge potential problems. Posted in buying, Real Estate, selling and tagged do i need title insurance if i am refinancing, is title insurance optional, is title insurance required, lender's title insurance, owner's title insurance, title insurance, title insurance when paying cash.